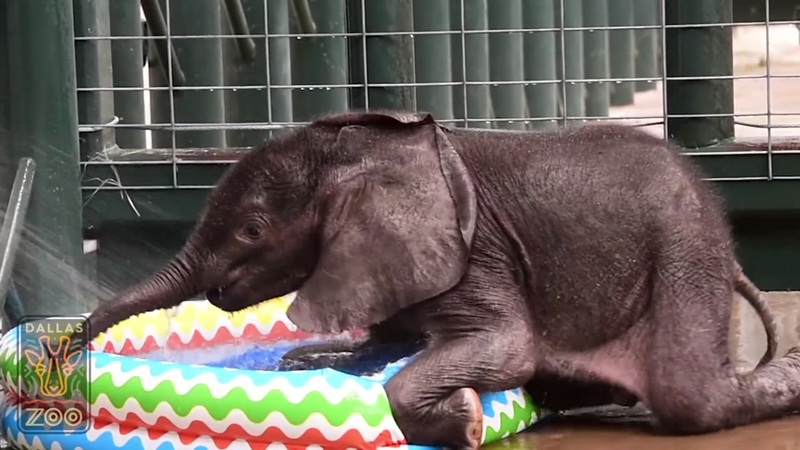 DALLAS, Texas -- The Dallas Zoo put out video Friday showing its two-month old baby elephant calf taking a bath. This was his first dip in a kiddie pool and it looks like he really loves the water. The baby was born to mom "Milo" at the zoo. He doesn't have a name yet.